CISRS has run two fully-funded CPD refresher pilot courses at NCC Midlands in Birmingham during February and March. Both of the courses delivered by lead Instructor Tony Barry received very positive feedback from the course delegates. There was a wide range of age and experience amongst those attending the courses with one scaffolder who had gained their card via “grandfather rights,” others who qualified over 20 years ago, and some who had completed their training only five years previously. The pilot courses were specifically designed to road test and fine-tune the course content. Adding diversity of experience and opinion, Rob Nicholls (lead instructor at Safety and Access) and Neil Gray (lead instructor at LTC) both sat in on the first pilot in February – taking notes on the course from a delivery point of view, assessing content, analysing the length of some course areas and providing feedback on timings and other aspects of the CPD course content and application. After considering delegate feedback and comments along with the findings of Rob and Neil, the first course was very well received, with only a few tweaks needing to be made to Risk Assessment and Method Statements (RAMS), Manual Handling and Anchors/Ties sections. One of the delegates on the first pilot had initially asked if the course could have been completed in one day. 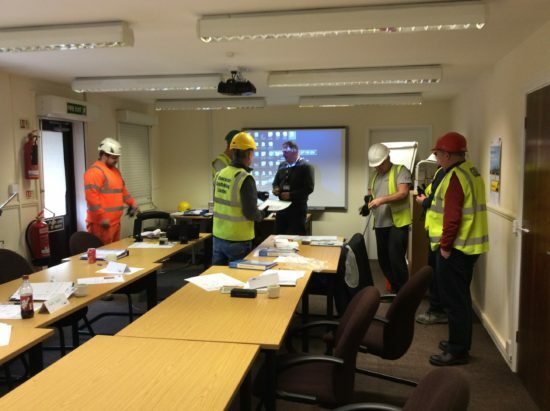 However with the practical Scaffold Inspection and Mobile Aluminium Tower session and associated theory tests taking up around six hours alone, combined with the rest of the CPD/Refresher programme necessitated the full two days. The course covers a lot of ground with the pilot courses running from 8.30am to 4.30pm on both days. Dave Mosley, CISRS Scheme Manager, and CISRS representative, Bob Whincap attended the second CPD course, to monitor the course in action. Mr. Mosley said: “The pilot schemes have proved to be a huge success and have given us the opportunity to fine tune the two-day course content before the July roll-out. Eligible delegates who took part in the pilot courses will receive their updated CISRS card with CPD, Inspection and Aluminium Tower module endorsements free of charge. A pilot course for CISRS approved Instructors will take place at NCC Midlands on 24/25th April. CISRS are considering offering a few more funded pilot courses in May, to enable a final phase of fine tuning prior to the scheme going live 1st July, after which time all CISRS Scaffolder and Advanced cards can only be renewed by completing the CISRS two-day Scaffolder Refresher Course. For a full a list of approved CISRS training providers, further details about CISRS CPD, CISRS card courses, OSTS news, training changes following the introduction of SG4:15 and TG20:13, information and dates on courses available or to find out more about CISRS, please visit www.cisrs.org.uk or email enquiries@cisrs.org.uk for more assistance.